The mission of HOPE Animal-Assisted Crisis Response is to provide comfort and encouragement through animal-assisted support to individuals affected by crises and disasters. In May 1998, in Springfield, Oregon a tragic shooting by a Thurston High School student left 25 people injured and 4 dead. Survivors and witnesses struggled to cope with their horror and shock. In response to this horrible event, the National Organization for Victim Assistance (NOVA) deployed to the school along with two registered Delta Society Pet Partner teams, Sandi Arrington and her dog Garth, and Cindy Ehlers, and her dog Bear. These animal-assisted therapy teams went to work comforting the students. Mental health counselors watched in amazement as the teams helped students who were withdrawn and who were not responding to traditional methods of the human counselors. This tragic event eventually lead Cindy Ehlers to begin what later became know as HOPE Animal-Assisted Crisis Response. Cindy Ehlers came away from the Thurston High School crisis with the realization that pet therapy animals can also bring comfort and support to people suffering from the effects of a critical incident or disaster. With this new insight and a powerful conviction, Cindy was determined to bring this awareness to others. In that same year, 1998, Ms. Ehlers became a Delta Society Pet Partner Team Evaluator. Then, in 1999, she became a Pet Partner Instructor. 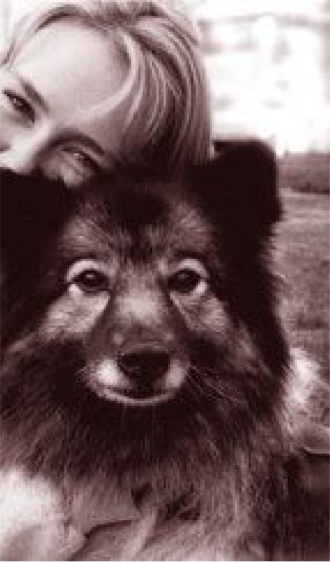 In the fall of 1999, Ms. Ehlers founded HOPE Pets, an organization that offered animal-assisted activities and therapy as part of the Pet Partner program. In order to ensure safe and effective animal-assisted therapy in crisis and disaster situations, Ms. Ehlers decided that registered Pet Partner teams, who wanted to respond in crisis situations, would need specialized training. HOPE Pets held its first formal animal-assisted crisis response training in July 2000. This first course was designed to prepare teams to assist at crisis and disaster scenes, with the emphasis on the canine part of the team. HOPE Pets held a second formal AACR training in June 2001. Emotional trauma components were added to the training, and the dogs were taught to work and perform specific tasks during these higher levels of stress. Cindy realized the added components were similar to that of SAR dogs who were classified as working dogs. As a result of this, the word “pet” was dropped from the name HOPE Pets, and the name HOPE Animal-Assisted Crisis Response was used. In September 2001, Josiah Whitaker and Hoss, Pat Dickinson and Kate, Pat and Bill Gartman and Uno, and Cindy Ehlers and Tikva were called to assist in New York City following the terrorists’ attack on the World Trade Center. These teams worked for two weeks in New York City helping people with the effects of this horrible event. They, along with many other AAT teams, received praise and international recognition for the use of animals in comforting survivors, and for helping first responders and other workers relax and talk about their experiences. The magnitude and depth of this disaster response was hard on both the dogs and handlers. Cindy Ehlers and the other three teams agreed that the handlers would benefit from better crisis intervention and critical incident stress management skills, as well as a greater awareness of their dog’s stress signs. The work in New York City proved that animal-assisted crisis response was needed and effective in bringing comfort and support to those in need. In November 2001, HOPE Animal-Assisted Crisis Response was incorporated with Cindy Ehlers leading the organization as its first president and founder. Since November 2001, HOPE AACR has grown to more than 300 certified crisis response teams in seven US regions and Canada. Members of HOPE have responded to all manner of crises, including major hurricanes, wildfires, train derailments, tornadoes, floods, mudslides and shootings. The training and education program continues to evolve as teams encounter new challenges working in this much needed endeavor. Please Note: HOPE AACR is not an animal rescue organization, nor do we take in animals for use in crisis response work. All crisis response dogs certified by HOPE AACR are owned and cared for by their handlers. We do not train dogs for placement in any kind of facility or with individuals.